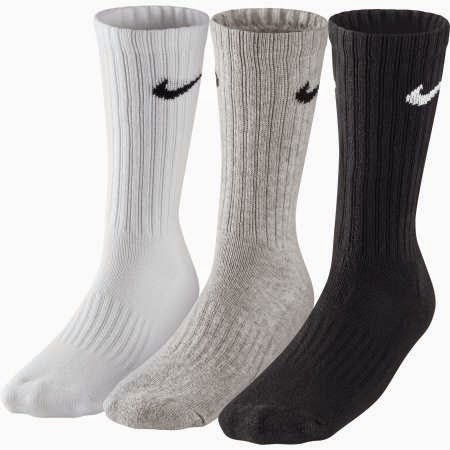 The time where socks were just there to keep your feet warm and only had a practical purpose, is already far behind us. 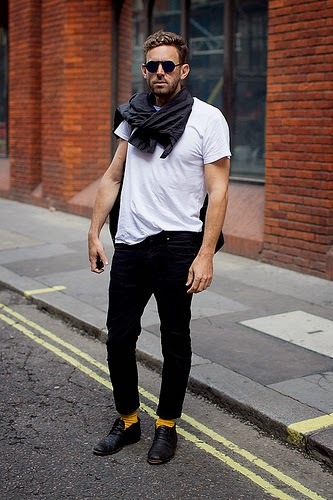 Over the past year, socks became an accessory, just like bracelets, scarves and hats. 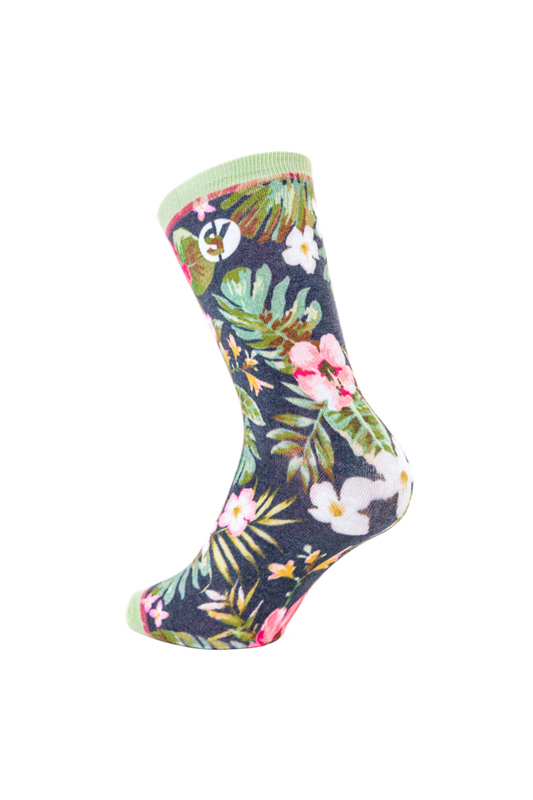 Socks can really add that final touch to an outfit, and since they are something that you wear all the time, why not choose some really cute, cool or daring ones? 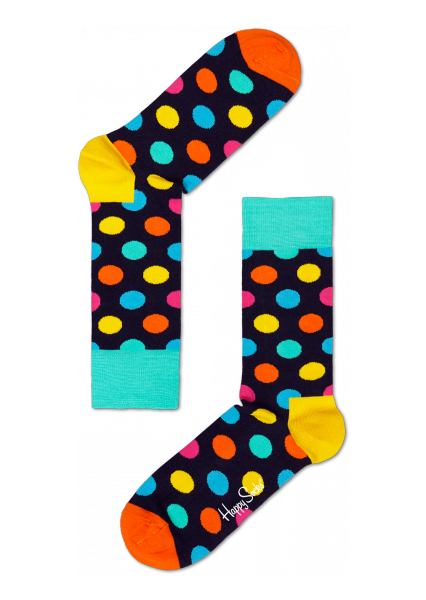 Fashionista's and o's are spotted showing off the craziest pairs in their new designer shoes, and thanks to famous brands like Happy Socks and the Belgian brand Sock You, crazy socks are to be found everywhere, in the most colourful patterns and combinations. 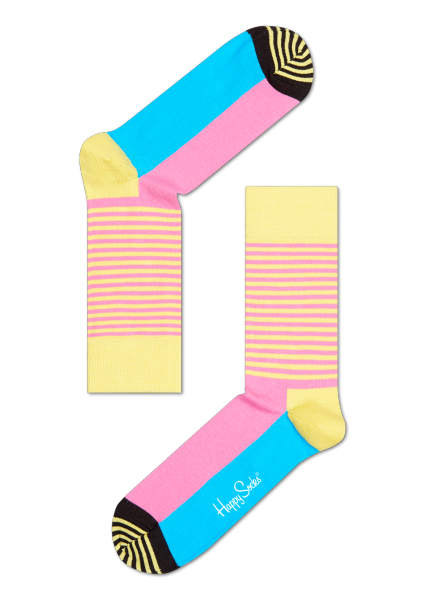 Happy Socks even came with matching underwear to their socks, how cool is that? 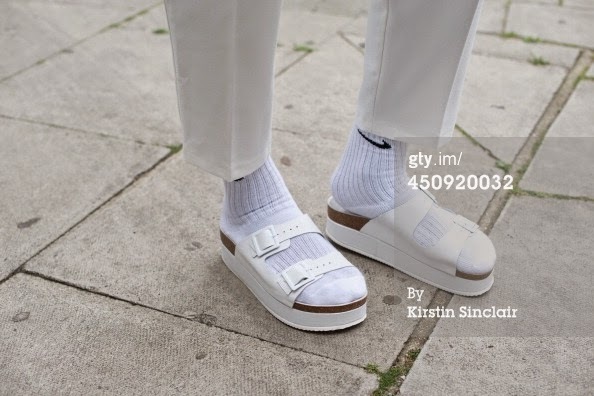 And with the whole normcore trend going on, socks don't always are bedazzling or super flashy: remember those white/grey/black 'boring' Nike sports socks you used to wear during elementary and/or high school? 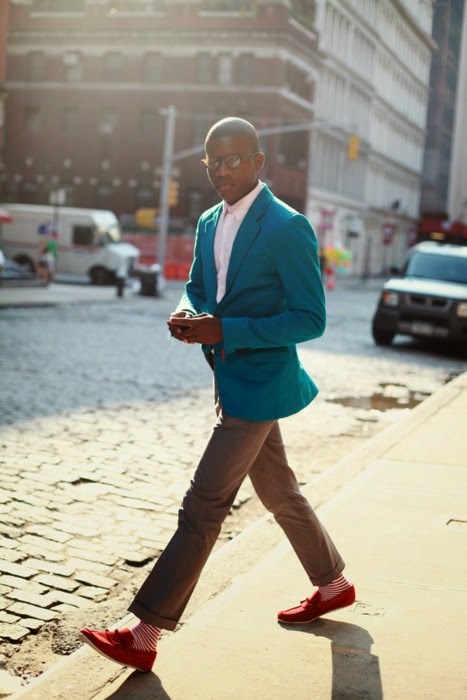 Well, they are to be seen on the streets everywhere, with women (with some heels) as well as with men. I selected a little inspiration and some very cool pairs of socks too. 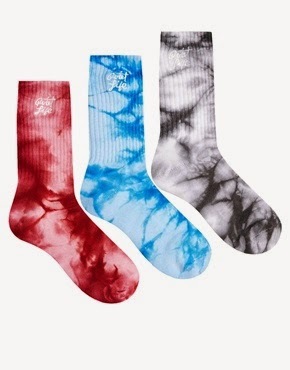 What do you think of the socks-trend?